You may assume that classes are just for kids. We also have well rounded and comprehensive classes designed for adults. All the classes begin at a pace that everyone can handle, challenging but not overwhelming. 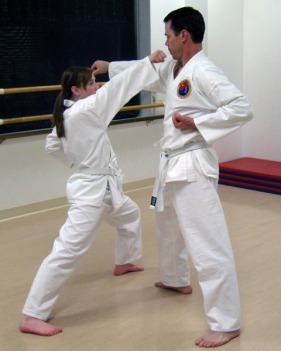 Our Adult Program is a traditional Martial Arts program based on the classical martial art of Tang Soo Do and the principle of "San Kil" or "mountain path". The principle of San Kil is to identify, face and successfully overcome obstacles. In doing so, a student's self-esteem and self-confidence builds improving their ability to defend themselves and ultimately avoid conflict altogether. The first few months of class gives you an opportunity to gain flexibility and increase your cardiovascular fitness and muscle tone at a manageable pace. At the same time you will find your focus and concentration increase too, integrating the idea of martial arts being "mind and body". Many of our adult students are parents who enrolled their kids in classes and then thought that it looked like so much fun they would join too. Sa Bom Gilliland is also a parent who started the school because he wanted his kids enrolled in karate classes. 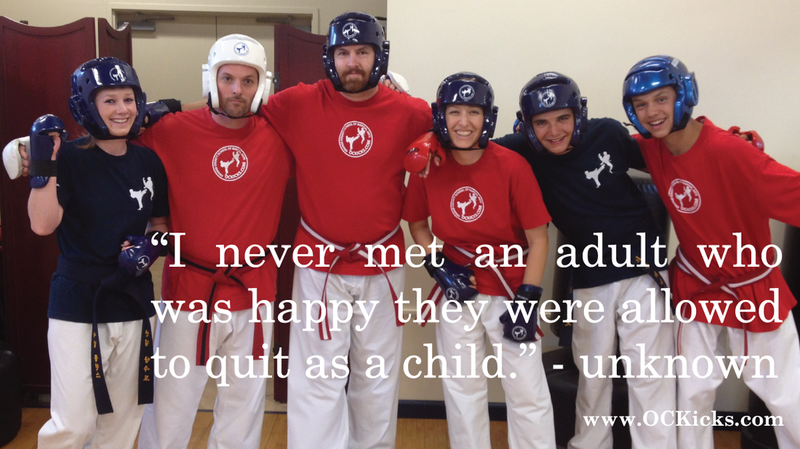 Our other instructors are brothers who have been training since they were kids and still appreciate the many benefits of martial arts training.